Join the Friends of the Libraries for the 14th annual, Libraries Unbound, formerly known as Literary Voices. 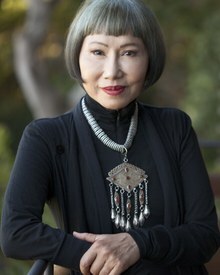 Our keynote speaker is Amy Tan, author of The Joy Luck Club, The Bonesetter's Daughter and Where the Past Begins: A Writer's Memoir. Dine at tables with notable authors to support the University of Washington Libraries Catalyst Fund for Innovation. Thursday, May 2, 2019 | 6:00 - 9:30 p.m. There are many ways to support the UW Libraries in its effort to anticipate and meet the information needs of our diverse community of scholars and students. Help us explore new initiatives, digitize unique material, maintain excellent collections, and continue to expand our student scholarship program. Thank you for supporting the Libraries! The Access program at the University of Washington allows Washington state residents aged 60 and older to audit one or two university courses per quarter on a space-available basis. Our tour operators specialize in educational travel. Most trips feature destination-specific lectures by local experts, UW faculty or faculty from a partner university. OLLI-UW programs, courses, and events offer adults over the age of 50 a lively learning environment in which to explore intellectual and cultural topics of interest, share their experiences and talents, and meet new people. Programs are offered at various locations throughout the Puget Sound area.